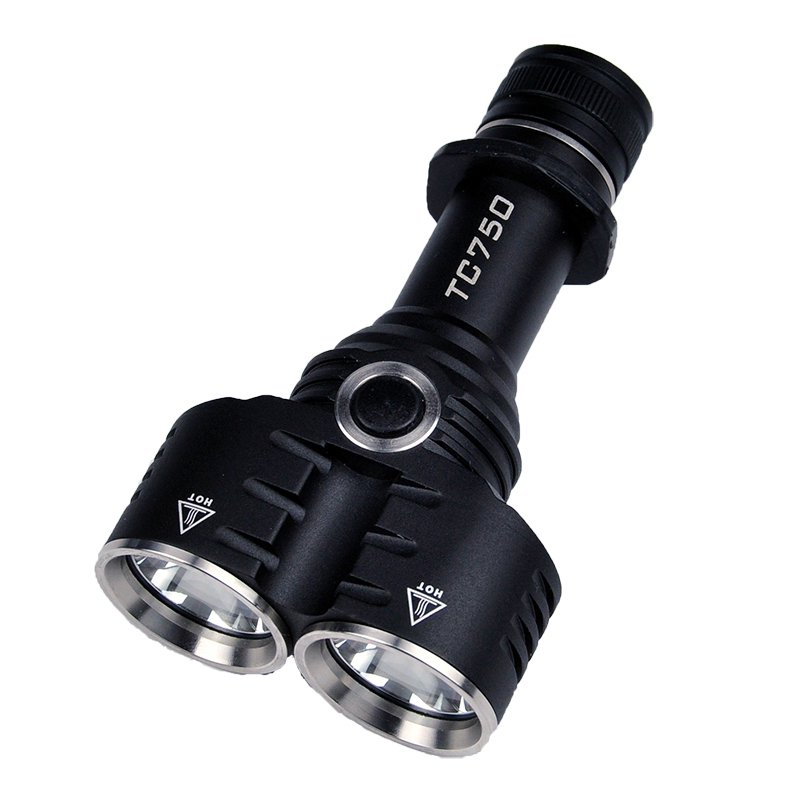 Back in 2011 Klarus introduced the XT20 It’s been upgraded three times from XM-L T6 up to XM-L2 U2. Then Shadow came out with the TC750X followed by the BL20 bike light. Then Maxtoch DX21 in 26650 a few years later. On the Shadow TC750X I put a TC350 aluminum or TC500 stainless steel 2×18350 body tube. Backside of the three lights. Now we have the Amutorch TC750 with 18650 and 21700 tubes, SST40 or XPL HD in 4800K or 6500K tint. A little high claiming 3500 lumens SST40 and 2860 with XPL’s. I like the style, their never roll away. Not a practical or tactical light but a fun light. Best for walking the dog and yes they can tail stand. The BL20’s even took the Solarforce bezels. With these it was a double barrel assault flashlight. I’m fond of multi-head emitters, they’re always a fun (if not too practical) form factor. The Gatling-styled Fenix TK45 springs to mind. Hmm. I still say it looks like a wang. My Skilhunt DT-20 night owl. I like the flashlight. Has there ever been one built with a thrower in one side and flood for the other? With provision to use only one or the other? Single 26650 cell, 2 x sw, (End cap and side of head). XM-L/2 LED’s from memory. Usual 5 way sw.
Well balanced.well made. never missed a beat in around 5yrs or more. I remember they were talking about combination throw/spread at the time. But never went anywhere that I know of. Wow… I thought I’m supposta be the one to make obscure ’80s movies references. Yours is the LZZ-01 still sold at Fasttech. By default, both LEDs are XML. I changed one for XPL-HI. The flashlight has a significantly longer afterglow. Both LEDs can be independently controlled at six levels. One or both of them can be lit. Power supply 1×18650, 2×18650, 4×16340 / 18350. The flashlight is great, I love it very much. Well worn in the pocket. 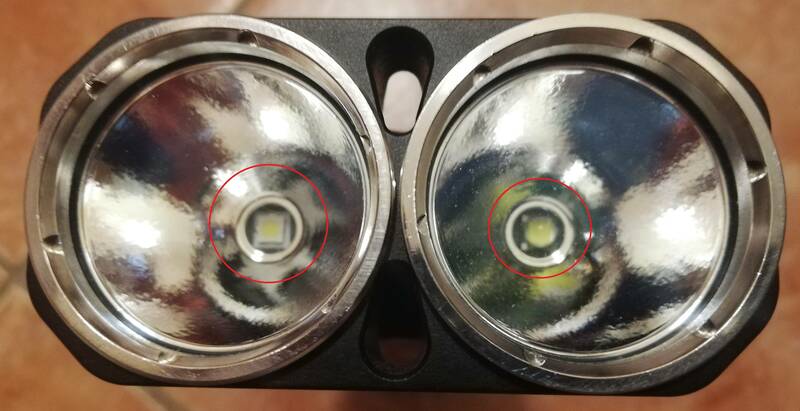 The left LED is XPL-HI, the right LED is XML. What do you think of swapping that old XM-L for a domed XHP50.2 3v? Even at today’s price. I reckon. I reckon the head sizes individually would be too small to take advantage of the 50-2 though. ONE advantage though. Would be an extension tube for 2 × 26650 cells though. It’d still look and feel balanced with that head.